Don’t let excessive weed and algae growth cover up your pond. 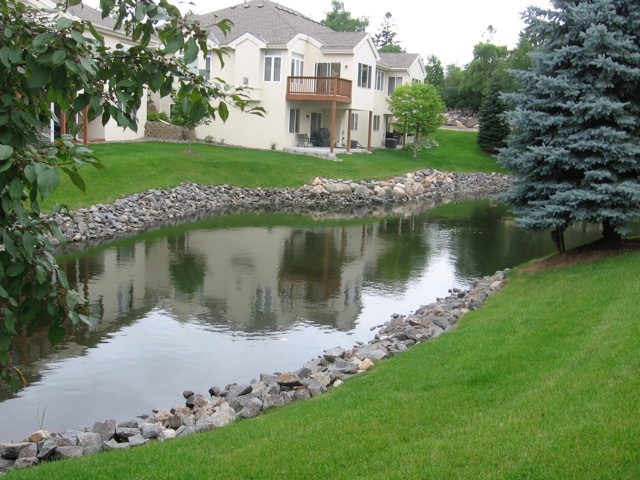 We can provide the solution to keep your pond looking great all year. Our program begins with a free estimate. We measure the water-body, identify species present and assess any environmental factors. Scheduled inspections keep your pond looking great – This is a dynamic all-inclusive maintenance service based on a single fee lasting the full growing season.